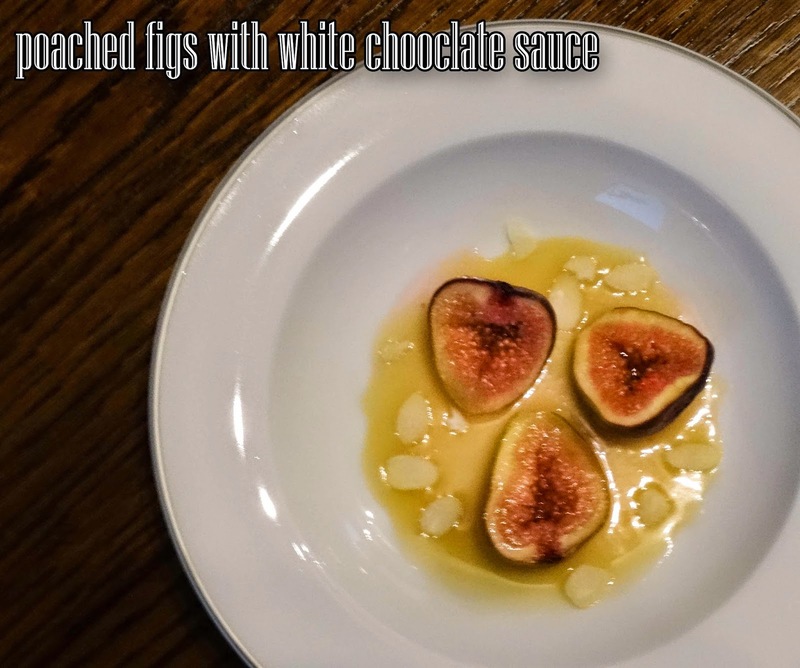 This is a very simple dessert, the sauce is sweet and a good contrast to fleshy figs, the flaked almonds add texture and crunch to an otherwise soft dish. 1. Place the figs cut side upwards in a pan, add the water and the honey, poach gently until the fig skin is soft, it won't take to long about 8-10 minutes. 2. Remove the figs to a plate, increase the heat and reduce the honey sauce by half. 3. Remove from the heat and add the white chocolate buttons, stirring until they have melted and combined with the honey sauce. 4. Pour a little sauce in each bowl, top with three fig halves and sprinkle some flaked almonds around the figs. 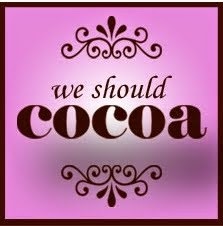 I'm am entering this dish for the December We Should Cocoa, the monthly blog event run by Choclette at Chocolate Log Blog. 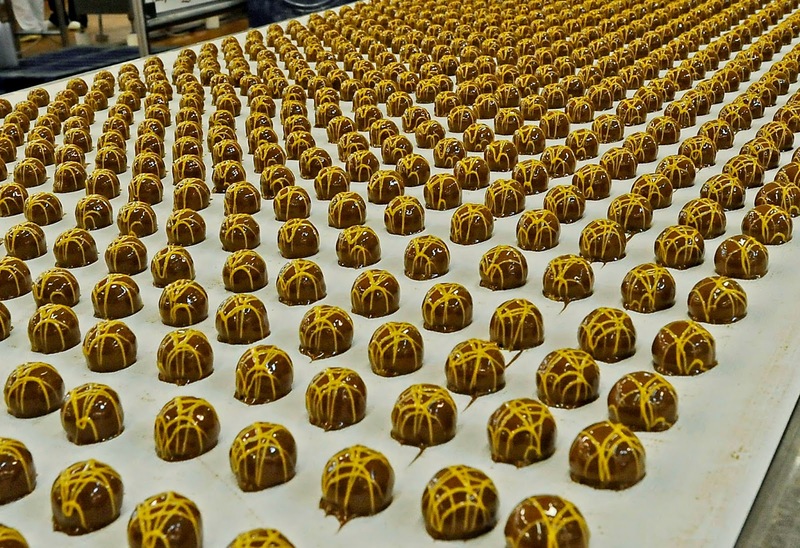 The theme this month is figs which are paired, of course, with chocolate. 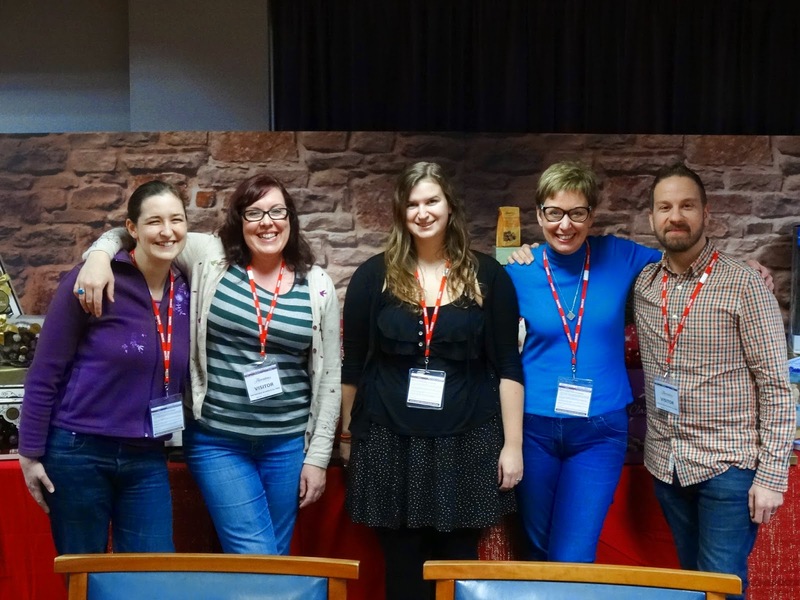 If you would like to join in, the linky is open until 28th December. 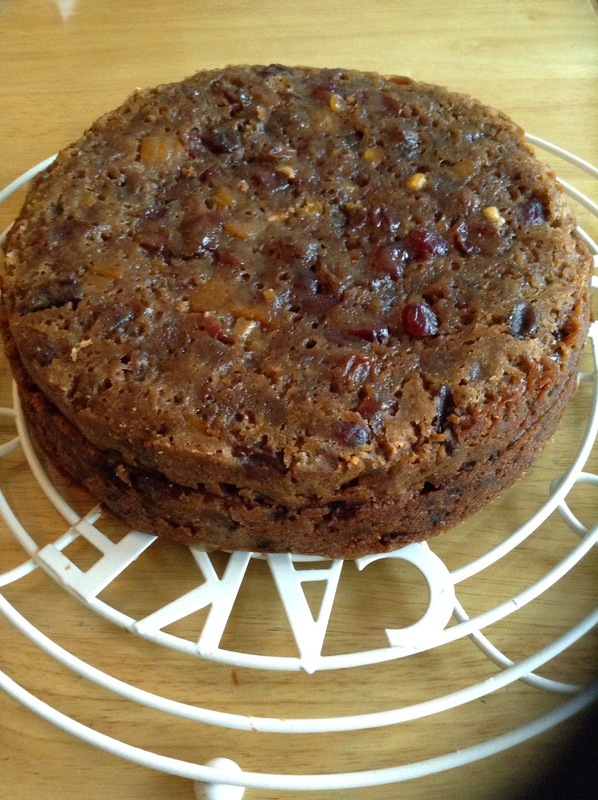 Do you make a fruit cake for Christmas? Usually I have my cake made at the end of October and maturing until it is iced a couple of weeks before Christmas. However, this year I was in danger of not having any cake at all, as I've just been so busy. Thank goodness I was sent a copy of What to Bake and How to Bake it by Jane Hornby and took the opportunity to bake Jane's Festive Fruit Cake. 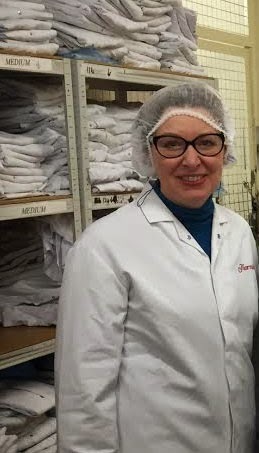 Jane Hornby is an experienced food writer, baking expert and cookery teacher. She has spent many years working on bestselling food magazines where she has honed her clear, friendly, step-by-step style, and her passion for real home cooking. The book begins with a comprehensive chapter full of technique, tips and answers to frequently asked questions. Simple Family Baking contains recipes such as Golden Citrus Drizzle Cake, Peanut Butter Cookies, Favourite Swiss Roll, Lemon and Raisin Pancakes, Rocky Road and Classic Crusty Bread. Morning Coffee and Afternoon Tea, just imagine a tiered cake stand loaded with Classic Shortbread, Jaffa Marble Loaf, Carrot Cake with Cream Cheese Frosting, Lemon Glazed Ginger Cake and Seriously Chcolately Cookies. As if these are not special enough the next chapter is entitled Special Bakes. The Chocolate Fudge Layer Cake looks pretty special and the Coconut Layer Cake is really pretty with it's toasted coconut chip decoration. Angel Cake with berries and Pumpkin Pie are classic US celebration cakes and almost everyone loves Frosted Cupcakes. 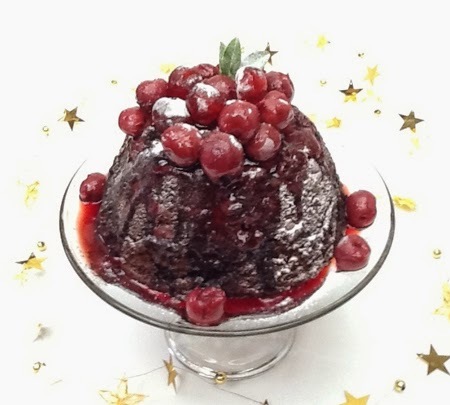 The Festive Fruit cake comes into this chapter (recipe below) as does another winter feast bake, Cranberry Stollen. Finally we come to Desserts and After Dinner, the Flourless Chocolate Cake is a decadently rich and gooey dessert, I'm definitely going to try the Tart au Citron, it's one of my favourites. Another citrus favourite is Whole Orange and Almond Cake, the instructions look incredibly easy. Want to master choux pastry? Jane provides the perfect step by step Chocolate Profiterole recipe and pastry is also de-mystified in the recipe for One-Crust Apple and Blackberry Pie. Macarons, biscotti and Salted Caramel Shortbread bites complete this indulgent chapter. There is a really useful index of bakes by occasion, for example, Bake-sale bestsellers and Mother's Day. There is a standard index as well, so you can easily find your favourites. You would think this is a book for beginners, the step-by-step photos and instructions certainly make it ideal for a beginning baker. 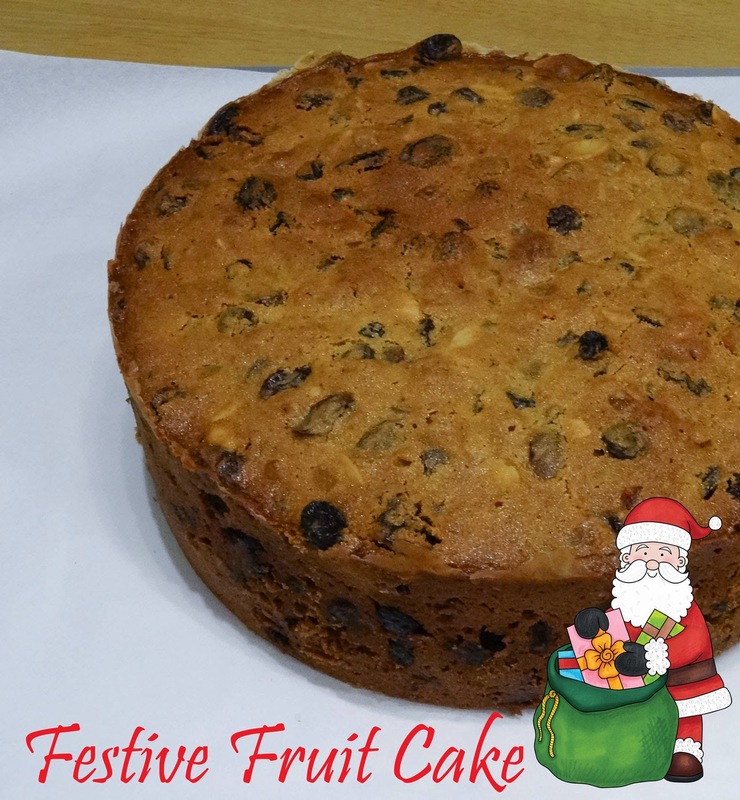 However, although I have many years of baking experience, I probably made the best fruit cake I have ever made using the Festive Fruit Cake recipe, so it is well worth investing in for anyone who wants to improve their baking. It's a beautiful book and would make a great gift. The photographs are clear without too much styling to get in the way of what you need to do, you could frame the illustrations at the start of each chapter, and hang them on your wall, they are so delightful (see the cover for an idea of the style). The written instructions are very detailed and neatly laid out down the side of the photos. If my experience is typical, the recipes really work. There are an awful lot of baking books on the market, and I seem to own quite a few of them. 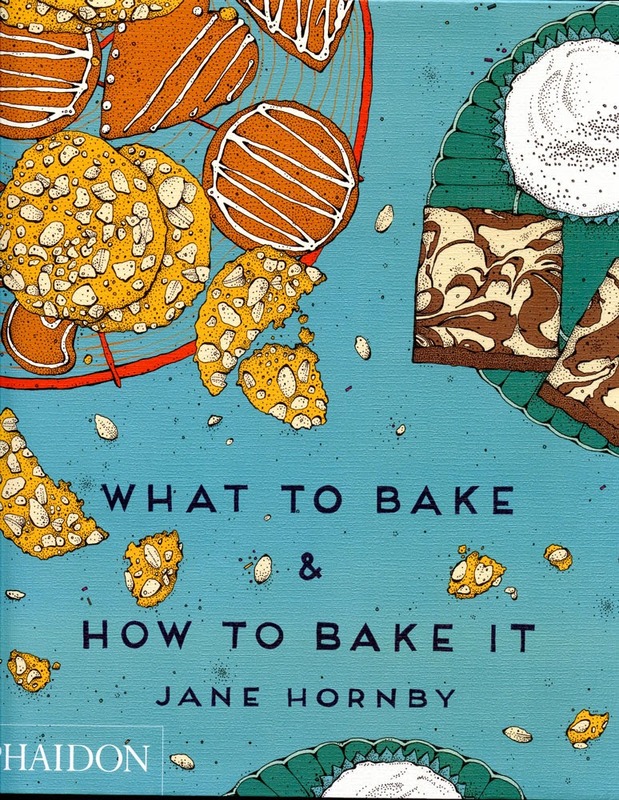 Many of the bakes in What to Bake and How to Bake it are standards such as Victoria Sponge, Swiss Roll, Shortbread, Brownies which will feature in other books you may own, but perhaps not in such detail with a step-by-step format. Beautiful book, well written recipes. I'm not sure I could resist if I didn't already have a copy. 1. 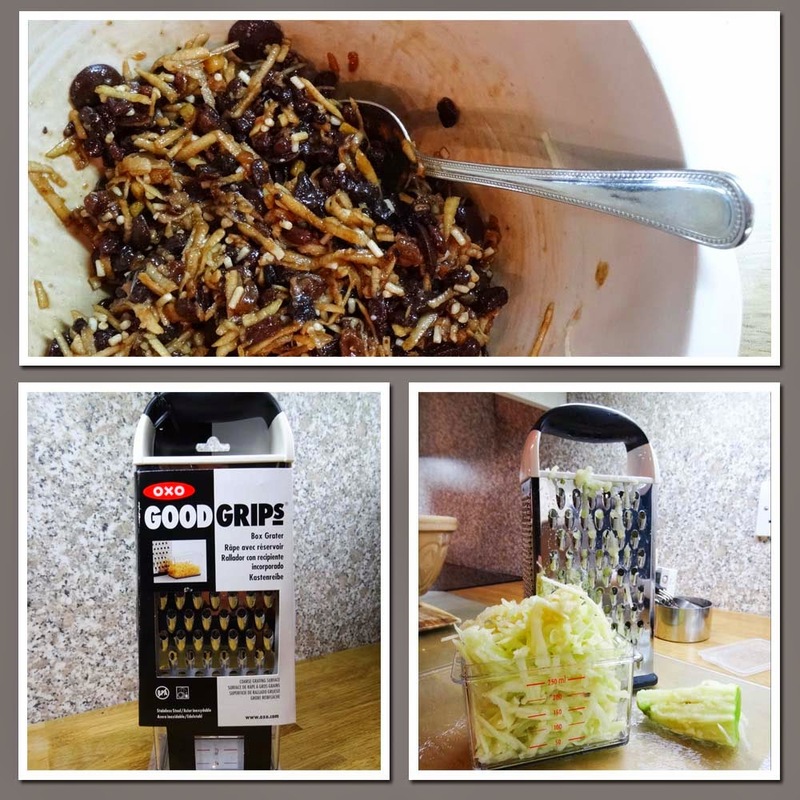 Finely grate the zest from the lemon and squeeze the juice. Cut the cherries in half. Put them into a large saucepan with the dried fruit and peel and 100 ml of the alcohol. Cover, then bring to a simmer. Remove from the heat and leave to stand for at least an hour, or overnight if you can. The fruit will plump up and absorb the liquid. If you'd rather not use alcohol, strong black tea makes a good substitute, as does orange or apple juice. 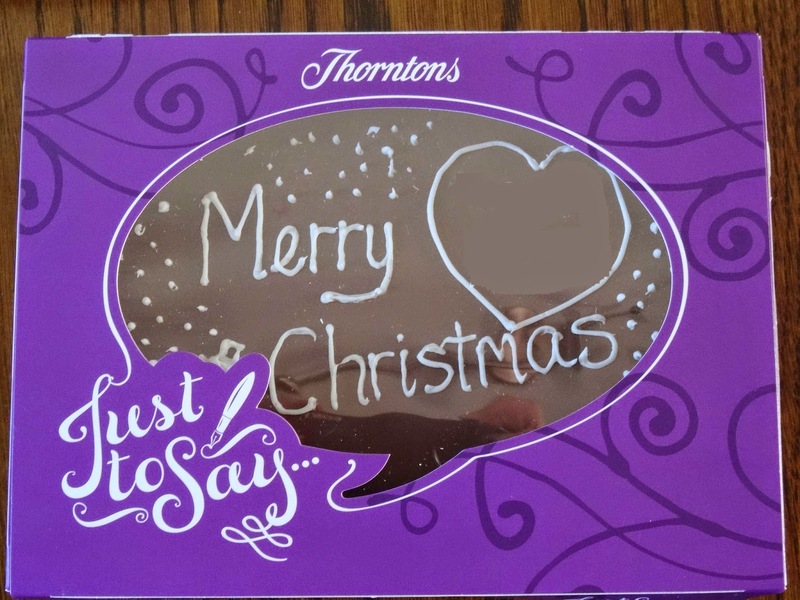 Alcohol is added to act as a flavouring as well as to preserve the cake until Christmas. Any dried fruit can be substituted, although I'd recommend a balance of sweet and tart fruit for a more interspersing end result. 2. When ready to make the cake, preheat the oven to 160C (140C fan/gas 3). Double-line a deep 20cm round cake tin with baking parchment. To do this, fold a 65 x 30 cm piece of parchment in half lengthways. On the folded side, make a fold about 2 cm of the way in. Snip at 2 cm intervals along the length of the seam, up to the fold, a make a frill. Cut 2 circles for the base. 3. Grease the tin with butter, then line the sides with the frilled paper, with the frills at the base of the tin, overlapping slightly. Grease the circles with butter, then sit them on top trapping the frill below. This preparation is neede to protect the cake during the long baking time. 4. Put the butter and sugar in a large bowl, then beat with an electric mixer until pale and creamy. Add the vanilla, then beat in 1 egg. When the mixture is fluffy and light, add the next egg and repeat. If the batter starts to look a little lumpy, beat in 1 tablespoon on the flour. Repeat with the remaining eggs. 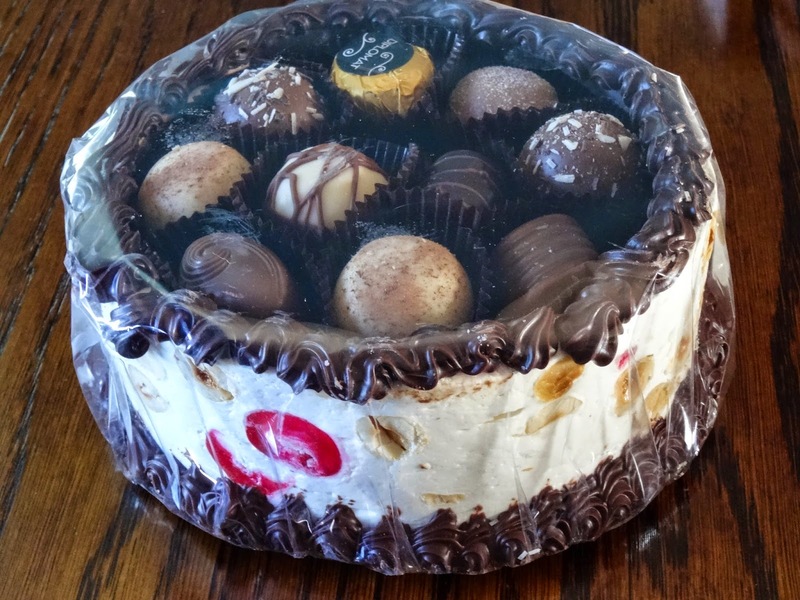 This is one creaming-method cake that can't be sped up; don't try to make it using the all-in-one method. 5. Sift in the flour, spice and salt into the bowl and fold into the batter with a spatula or large metal spoon. Now fold in the soaked fruit, plus the nuts. It will make a stiff batter. 6. Scrape the batter into the prepared tin and level the top. Make a depression in the middle of the batter with the spatula. This will help the cake rise more evenly. 7. Bake for 1 1/2 hours, then turn the oven down to 150C (130C fan/Gas 2) for 1 1/4-1 1/2 hours more. When ready, the cake will be dark golden and a skewer inserted into the centre will come out clean. If not bake for another 15 minutes and check again. Leaver to cool in its tin on a rack. When still warm, prick holes all over it with a cocktail stick and spoon in the rest of the alcohol, tea or juice. Once cool, remove from the tin then wrap carefully in clean baking parchment and store in an airtight container in a cool place. The recipe also includes instructions for how to marzipan and ice your cake, I love marzipan but this year I decided to leave my cake 'naked' and enjoy it in all it's fruity glory. Let me tell you about the Degustabox I received which inspired the Vegetable Burritos. 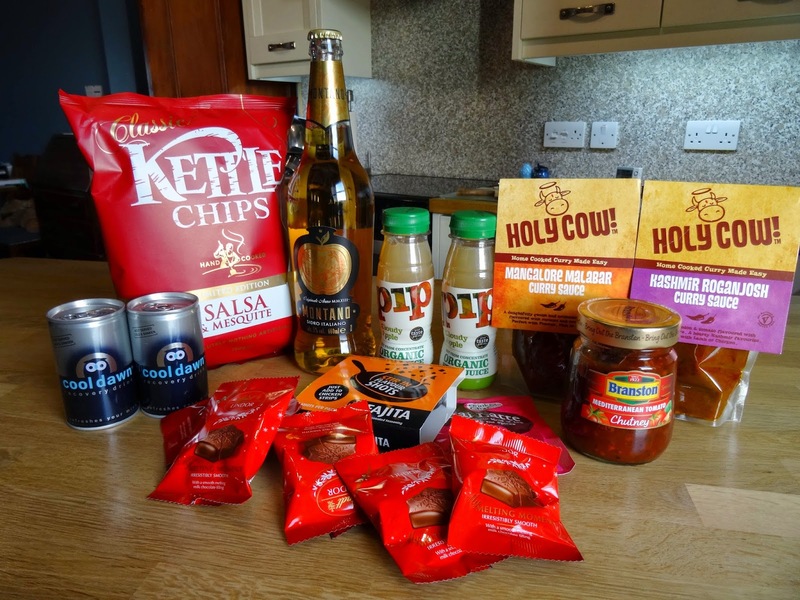 Degustabox is a monthly subscription food box which costs £12.99 a month including delivery. Each month there is a new box of delights for you to try, with between 9 and 12 products for you to try, great for a bit of inspiration. Degustabox make sure that you will pay less for these products than you would in the shops. 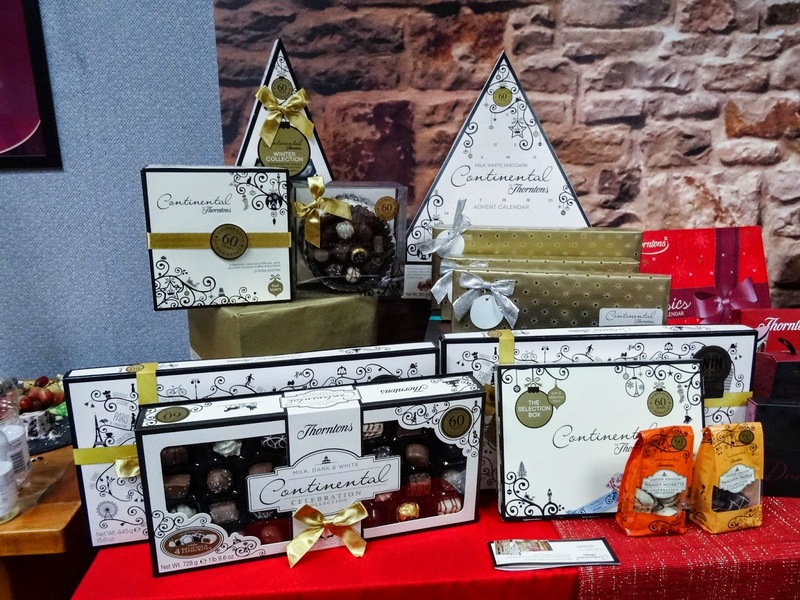 A subscription to a monthly Degustabox would make a great present, it would be like Christmas every month! Pip Organic produce pure organic juices and smoothies. The Pip Organic Cloudy Apple Juice tasted good, but not outstanding and I felt it was expensive at £1.50 for a small bottle. More apples, but this time fermented into cider. Montano is Italian Cider made from apples grown in the foothills of Trentino region of Northern Italy, it's refreshing and medium dry, a good price at £2.79. There was also a Sample Present of a sachet of Drink Me Chai, a blend of exotic spices milk and sweetened tea, just add water or milk. 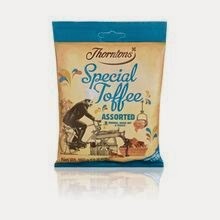 I haven't tried this as I don't like sweetened or milky tea, but it may be popped in someones Christmas stocking! 1. Heat the oil in a large pan and add the onion, cook on a low heat for about 5 minutes until it starts to become translucent. 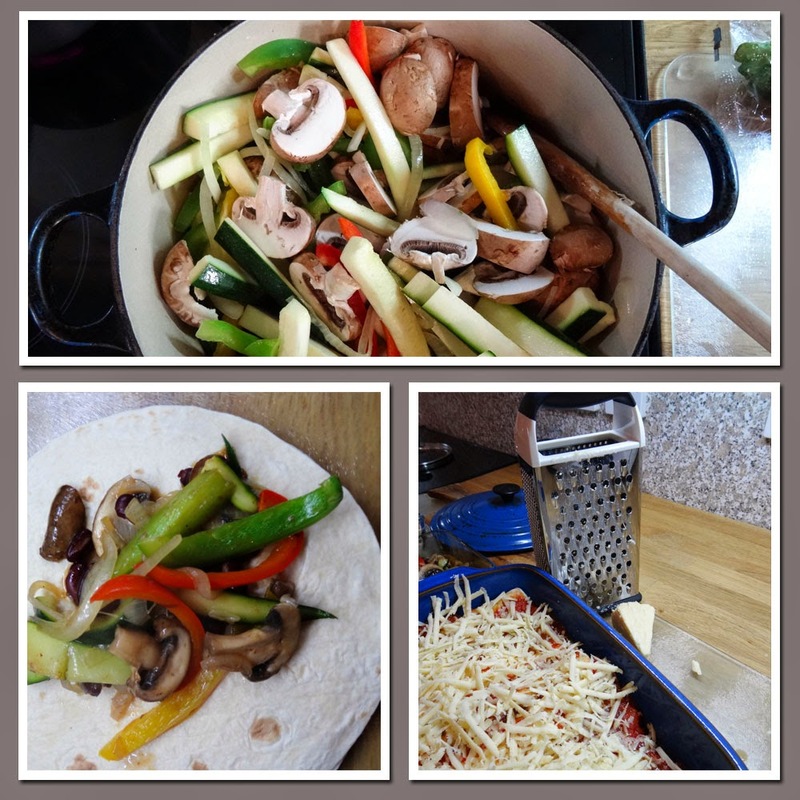 Add the peppers and courgette batons and stir round, cook for a couple of minutes then add the mushrooms and the Fajita Flavour Shots. 2. Cook until the mushrooms soften, then add the kidney beans. 3. While the vegetables are cooking, heat the oil in a separate pan and gently cook the sliced garlic, then add the crushed tomatoes, cook on a medium heat for about 10 minutes until slightly reduced and the flavours have combined. 4. 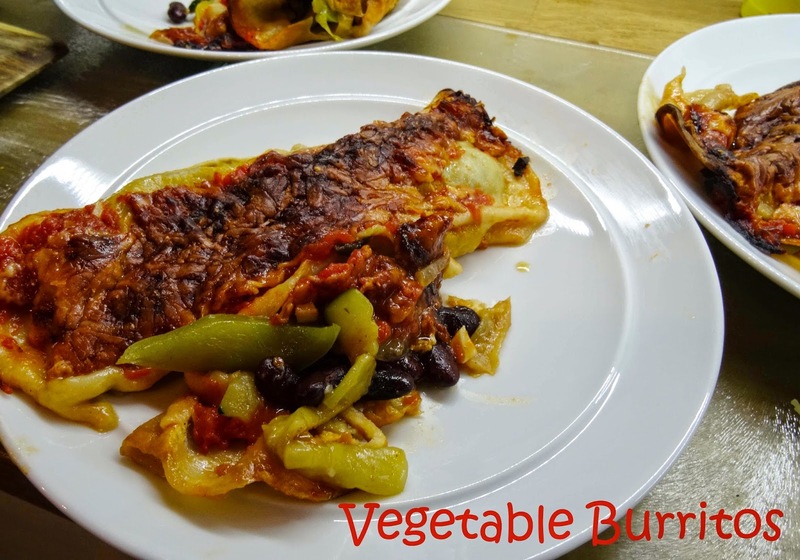 Fill each tortilla with the spiced vegetable mixture, roll and place in a large ovenproof dish. Once all eight tortillas have been filled, if there is any vegetable mix left pile it on top of the tortillas, then cover with the tomato sauce and sprinkle with grated cheese. 5. Bake in the oven at 180C for 20-30 minutes until the cheese is bubbling and golden. 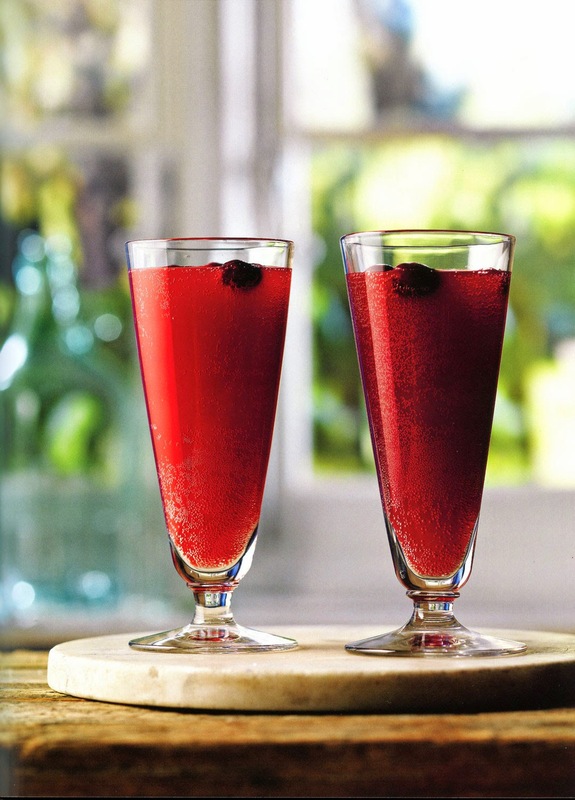 Finding interesting drinks for those who don't, or can't, drink is always a bit of a challenge but I would certainly raise my glass to this gorgeously festive Cranberry Fizz from Lindy Wildsmith's latest book, Artisan Drinks. Artisan Drinks celebrates the pleasure to be had from making your own drinks. 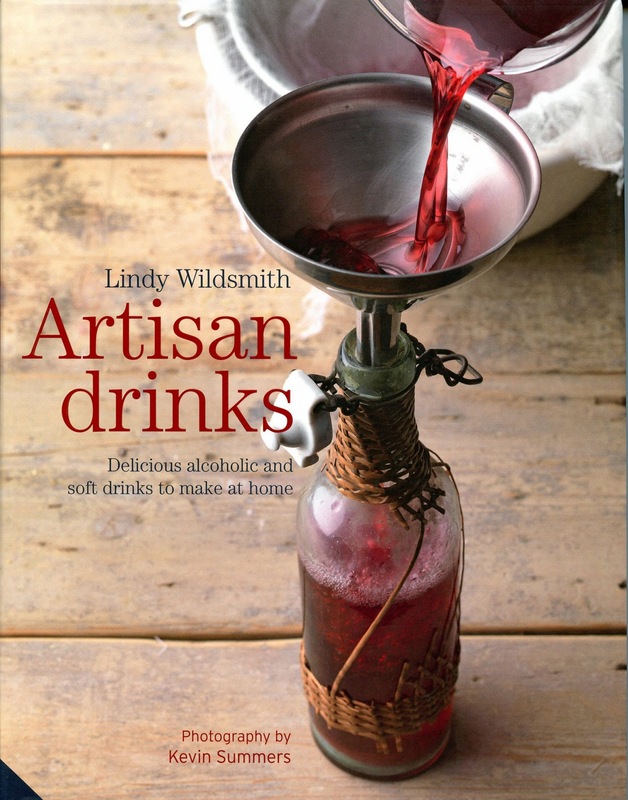 With over 100 recipes for both alcoholic and non-alcoholic drinks, Lindy Wildsmith takes you from the freshly harvested ingredients to the finished product in your glass. Along the way, she rediscovers artisanal techniques and takes a wholesome approach to sourcing natural ingredients for infusing macerating, pressing brewing and fermenting your own drinks. Lindy Wildsmith is a great believer in the importance of good, seasonal ingredients and connecting with the land, people and business around you. Her love of nature, the changing seasons and the countryside have inspired her interest in both curing and preserving an making drinks. Kevin Summers has been a photographer for 20 years, working advertising, editorial and television commercials. 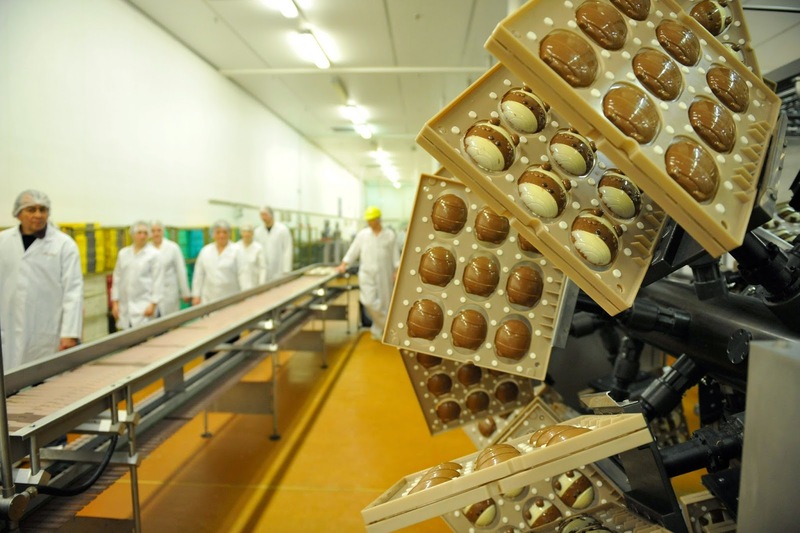 His main focus is still life and food photography and he has worked with Delia Smith and Nigel Slater. In the Introduction, Lindy takes us back to her childhood memories as well as the revival in artisan food producers, but the message is clear, nothing is quite as good as the drinks you make at home yourself. There are also a couple of pages on Sourcing and Seasonality, whether from the garden or foraged from the hedgerow, there is lots of useful advice and a helpful artisan drinkmaker's year chart. Still waters run deep - Cordials, syrups and soft drinks contains everything you need to know to make and keep soft drinks safely. The recipes include Italian lime siroppo, Ginger Cordial, Instant Lemon Sherbet, Rose Petal cordial, Spiced blackberry tonic and Rosehip syrup. Family Fizz - Alcohol free sparkling drinks will be well received by most people and make a great alternative to alcohol at celebrations. Recipes include the classic Elderflower 'Champagne', Nettle Beer, Lavender Spritz, May's dandelion, ginger and liquorice beer and Cranberry Fizz. A global resurgence - Beer, cider and perry we used to make our own beer years ago first from a kit and then we moved on to hops and fuggles. I've never made cider but my mother has many stories of exploding bottles of cider made by my grandfather! The recipes include Woodforde's Nog, Festive spiced ale, Three Counties cider and perry and Old English 'Champagne' sparkling perry. A very good year - The wine list we made wine too, using everything from sloes to carrots, all those bubbling demi-johns used to be gathered around the inglenook fireplace. Recipes include Rhubarb wine, Clover flower or dandelion wine, Beetroot and Marjoram wine, Carrot Wine and Bully Lane red berry wine. And now for something stronger - liqueurs, digestifs and pick me ups many of you may have made and enjoyed sloe gin, so here there are recipes for some alternatives. Recipes include Bourbon Shrub, Limoncello San Vigilio, Nocino (Italian Walnut Liqueur), Cherry Brandy and the delightfully named Herefordshire Vet - aromatic fruit liqueur. Happy Hours - artisan cocktails and elegant mocktails for those who want to serve a sophisticated drink there are plenty of ideas, recipes include Bejewelled Pink Elephant, Damson Gin Fizz and Jumping Jack Flash. Mocktails include Garden Path- Lavender ice cream soda, Tropical Storm , Flirty and Pussyfoot. On festive occasions this stunningly colourful drink can be dressed up for the non-drinker at the party. Vary the fruit in this recipe to make vibrant fizz at any time of the year - rhubarb in spring, soft fruits and cherries in summer and blackberries in autumn. Put the fruit in the crock or deep bowl and crush with a potato masher or the end of a rolling pin or, even better, put through a Mouli-Legume or mincer. Add the citrus zest and juice, add the sugar cubes and the cream of tartar. Pour the boiling water over the top, stir and leave to cool until lukewarm. When the liquid has cooled sufficiently, mix the yeast and caster sugar with the warm water, stir into a paste and add to the liquid. Cover with a clean cloth and leave for 48 hours. Using a slotted spoon, skim and discard any debris that may have floated to the surface. Strain into a large jug and use a funnel to pour into bottles. Making and keeping: Make in winter. Keeps for 2-4 weeks in a cool place. Once open drink up within a few days before the sparkle subsides. 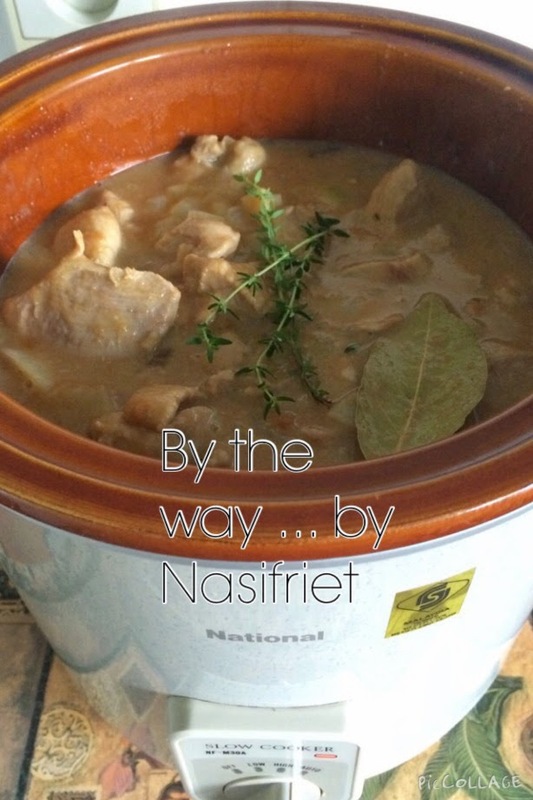 I simply ran out of time to make this recipe so can't give you my opinion on the taste and ease of making. 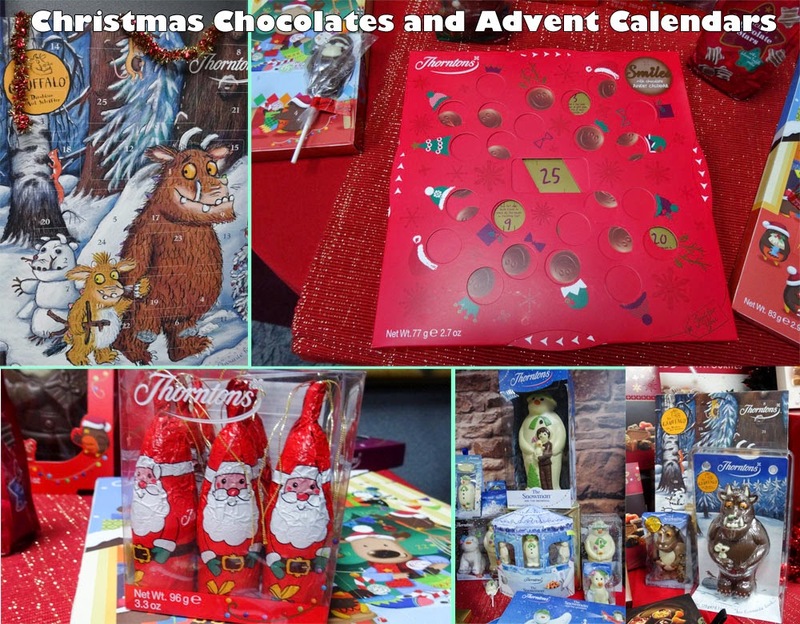 I hope to make some before Christmas comes so we can enjoy it in the holidays. To order Artisan Drinks at the discounted price of £20.00 including p&p* (RRP: £25.00), telephone 01903 828503 or email mailorders@lbsltd.co.uk and quote the offer code APG236. Christmas dinner is a meal that shouldn't leave you stressed out and sweating in the kitchen it should be tasty but easy. 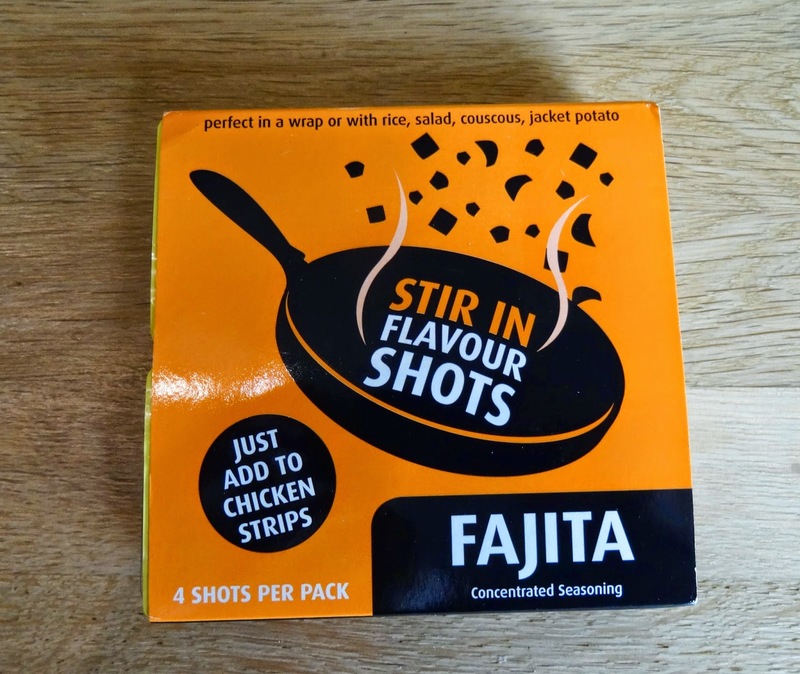 When Aldi asked me to try out their Specially Selected range I was looking particularly for something special for Christmas dinner. 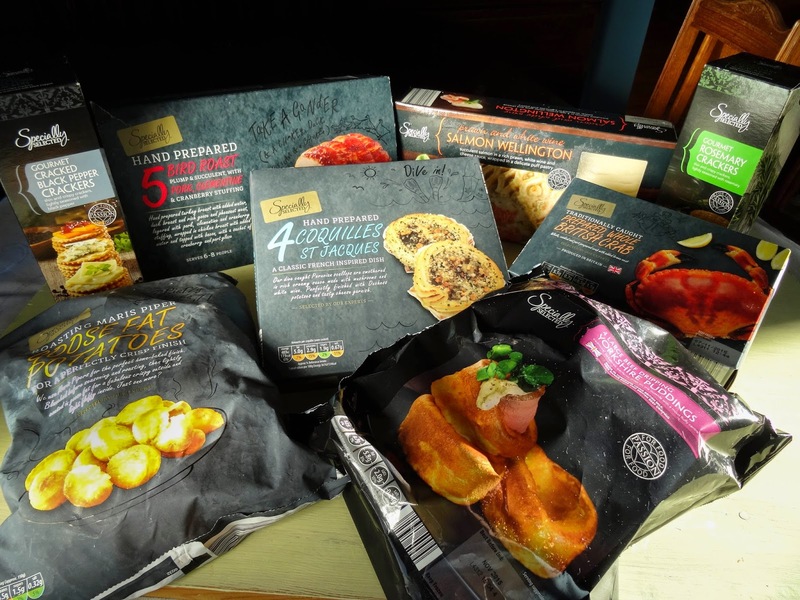 I don't visit Aldi too often as it is a bit out of my way so was delighted to see just how many interesting products they had in the Specially Selected range and, of course, they were all at good prices. I cooked the Specially Selected Hand Prepared Five Bird Roast. When I read the instructions I couldn't believe that you can cook it from frozen! 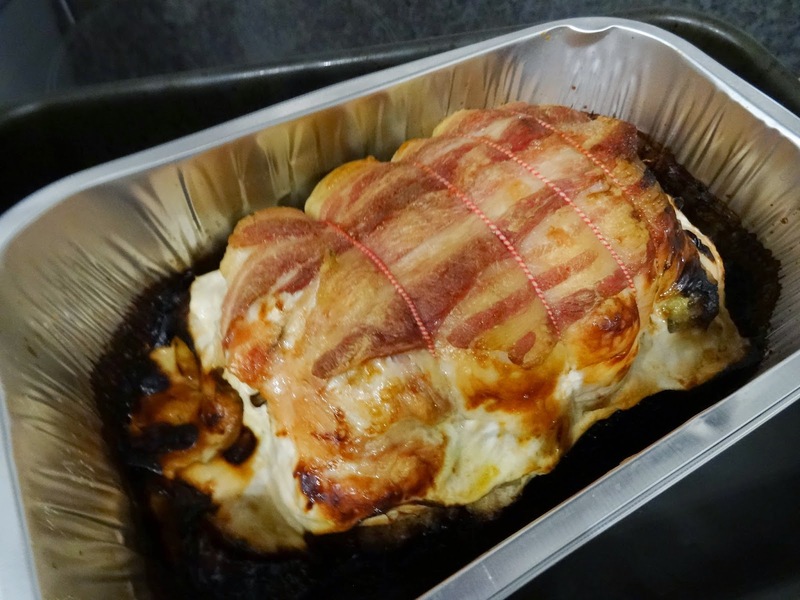 What a bonus and perfect for anyone who needs to make an extra meal over the holidays, you can cook this bird from frozen in 2 1/2 hours in an electric fan oven and 3 hours in a gas oven or non-fan electric oven. 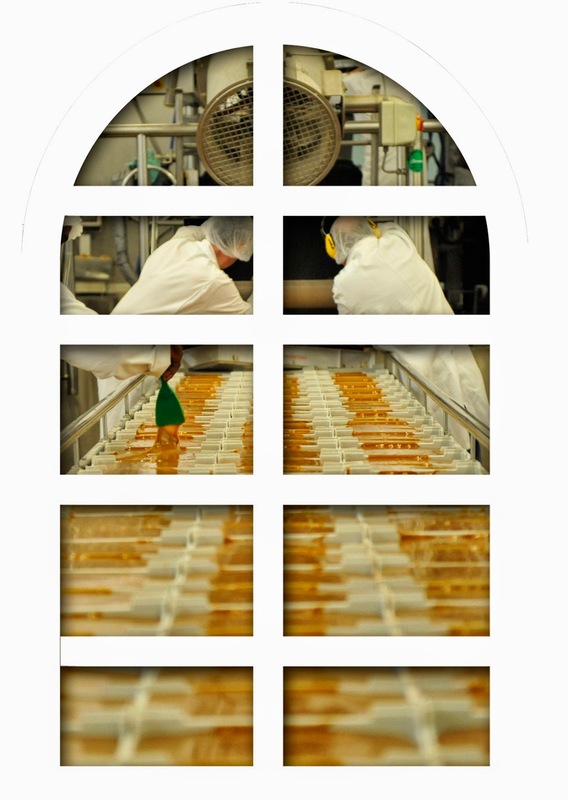 You can see for yourself the different layers of poultry. 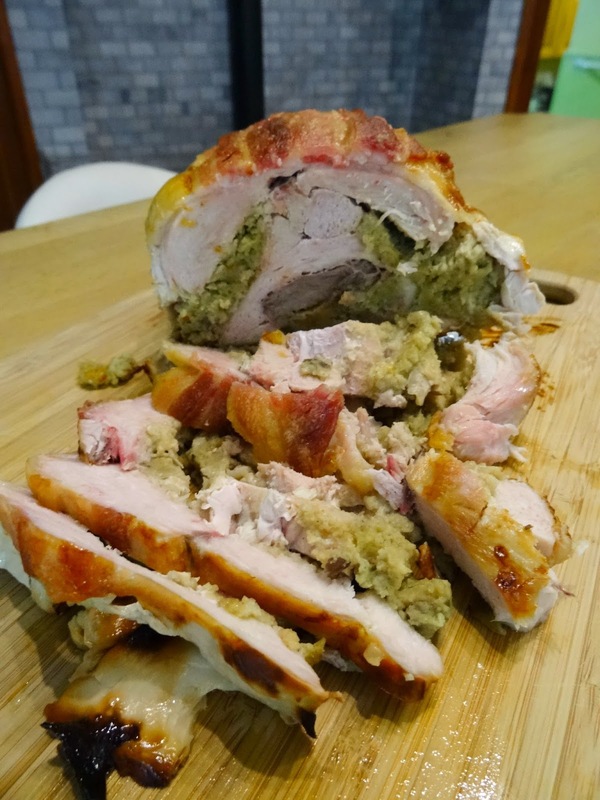 The Five Bird Roast contains turkey, duck, goose, pheasant and chicken, it also has a really delicious Pork, Clementine and Cranberry Stuffing. 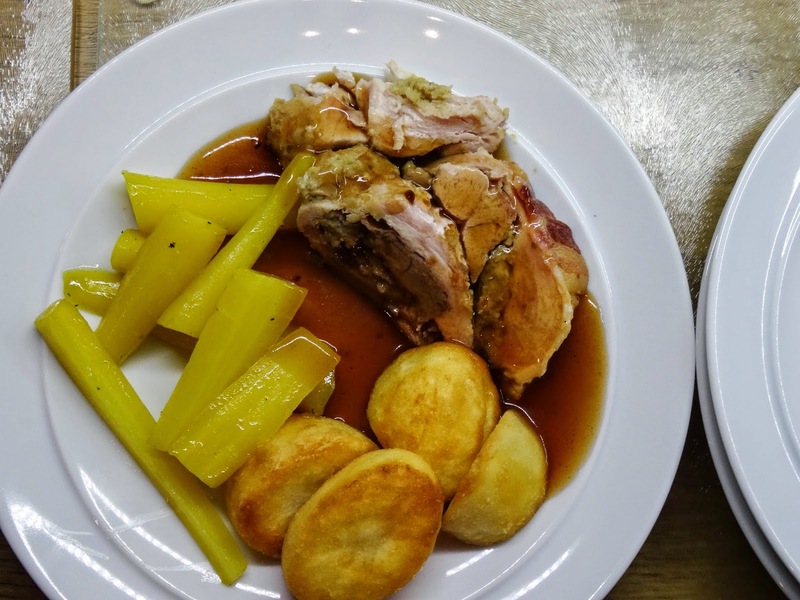 The Five Bird Roast is listed as feeding 6-8 people but we managed to get four meals for three people from it, admittedly we are not big eaters but it would certainly feed more than 6 people. It's also good cold and the layers hold together better when it's cold. After trying the Five Bird Roast, I hot footed it back to Aldi to buy another one to put in the freezer ready for my Christmas dinner. I served the Five Bird Roast with Specially Selected Goose Fat Potatoes and Specially Selected Heritage Carrots (not frozen). 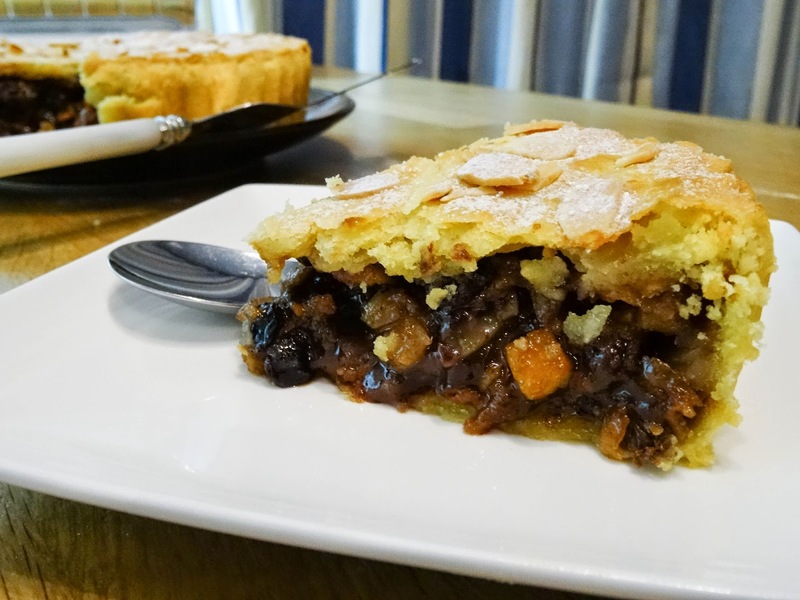 There is also a range of Specially Selected Desserts including Specially Selected Dessert Shots, macarons and mini cheesecakes as well as the traditional Christmas Pudding and mince pies. Here we are in early December and Christmas shopping is in full swing. I thought I'd share a few gifts for cooks and bakers. Some of them have already featured at Farmersgirl Kitchen, others have only come to me recently but I feel they would be well received. You may have noticed that I'm a bit of a fan of slow cooking, and I really would recommend a Crockpot. They are slightly more expensive than other brands of Slow Cooker but you get what you pay for and it's a really nice piece of kitchen kit. 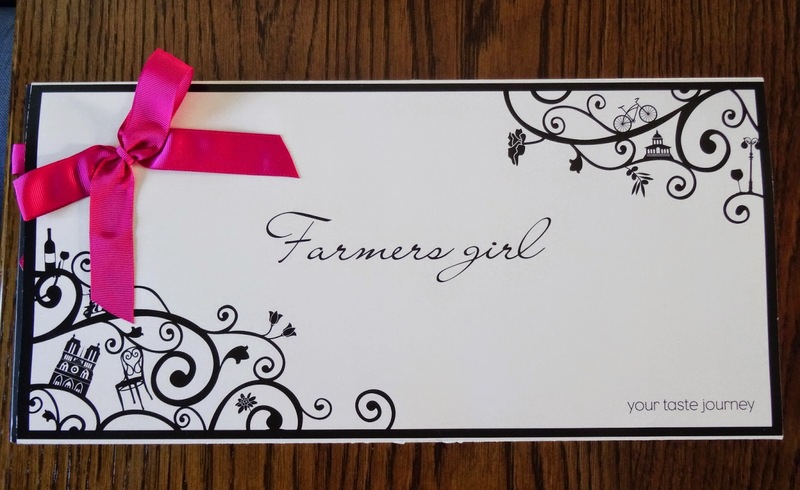 Who should you get this gift for? 1. 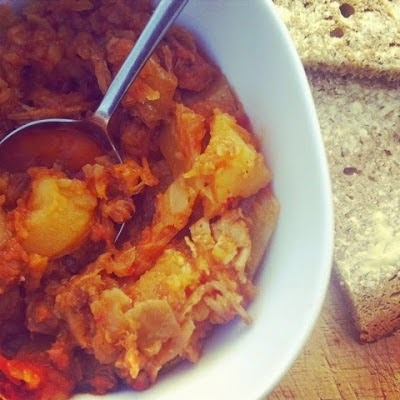 Someone on a budget as you can use cheaper cuts of meat or ingredients like beans in the long slow cooking. 3. Someone who doesn't always know what time they will be home, the Crockpot will keep the dinner warm till you get there. 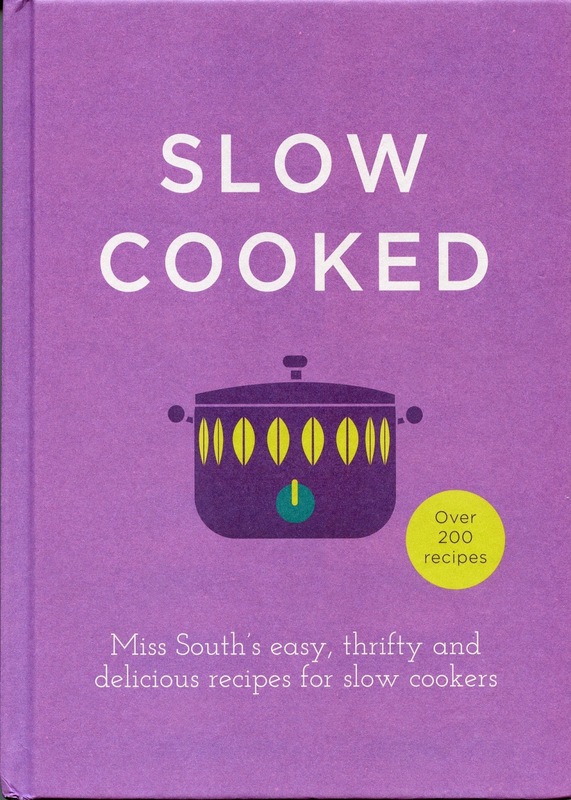 This is my book of the year, it's an unassuming little volume which sets out to get the best out of slow cookers. There are few books that have grabbed me quite like this one has, it's just full of the most tempting recipes which are easy to make and from my experience so far, work like a dream. 1. The person who is getting the Crockpot, it will ensure they get the best from their new cooking method. 2. 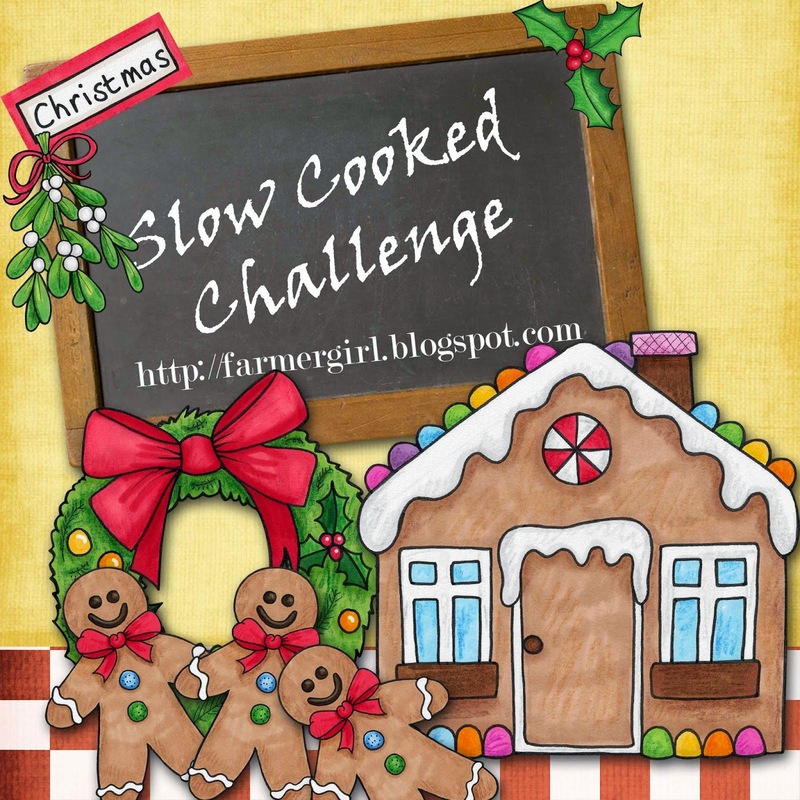 Anyone who has a Slow Cooker and wants to expand their repertoire. Yes, you read that right! Arbroath Smokies are one of my favourite foods, they are haddock which are tied together in pairs, then cold smoked creating a plump, moist and already cooked fishy treat. They are a taste of my childhood and I 'cooked' and served them in the simple way just like my Mum used to do. Just cut down the back bone and prise the two halves apart, remove the back bone, then place on a grill pan lined with foil. Dot with butter and grill for about 4-5 minutes until the butter has melted and the fish is just warmed through. Don't be tempted to overdo it or you will dry out the fish. Heaven on a plate. 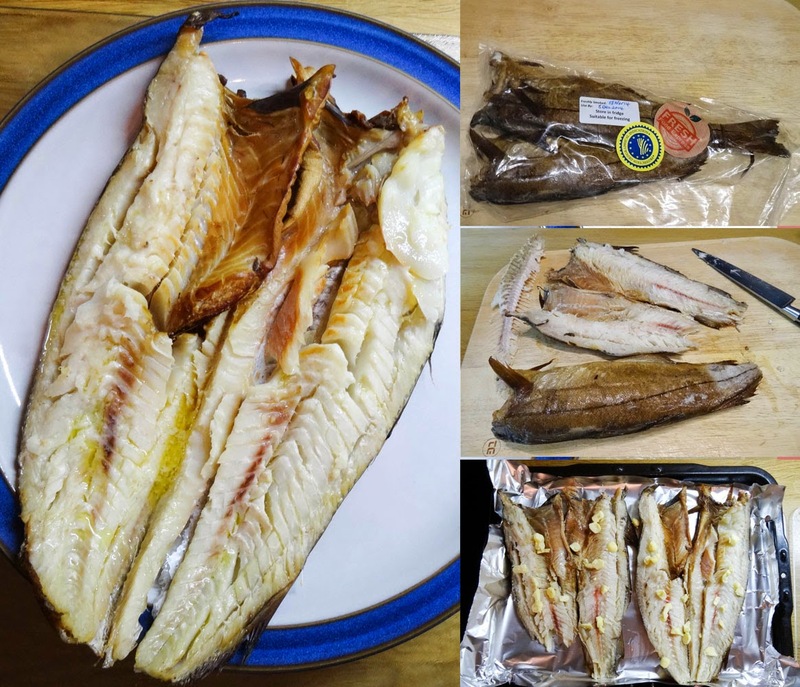 These Arbroath Smokies were sent to me after I was waxing lyrical about my favourite fish on Twitter, many thanks to Jillian McEwan of Fresh Food Express, the smokies were superb, so fresh and super tasty. Fresh Food Express will post Arbroath Smokies, Scottish Beef, Venison, Free Range Chicken, Wild Salmon, a Heavenly Veg Box and a whole lot more right to you or your gift recipient. 1. 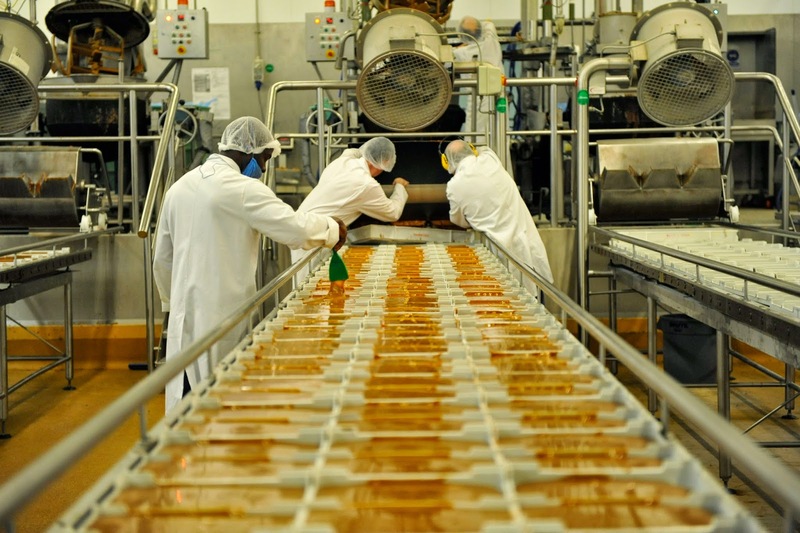 Homesick Scots who drone on about Arbroath Smokies and how good they are. 2. 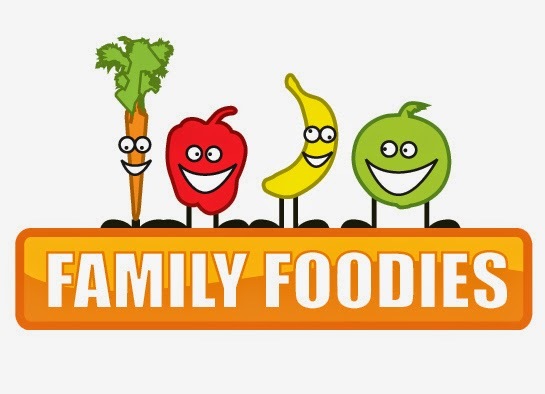 Anyone who loves good food and likes high quality fresh food. 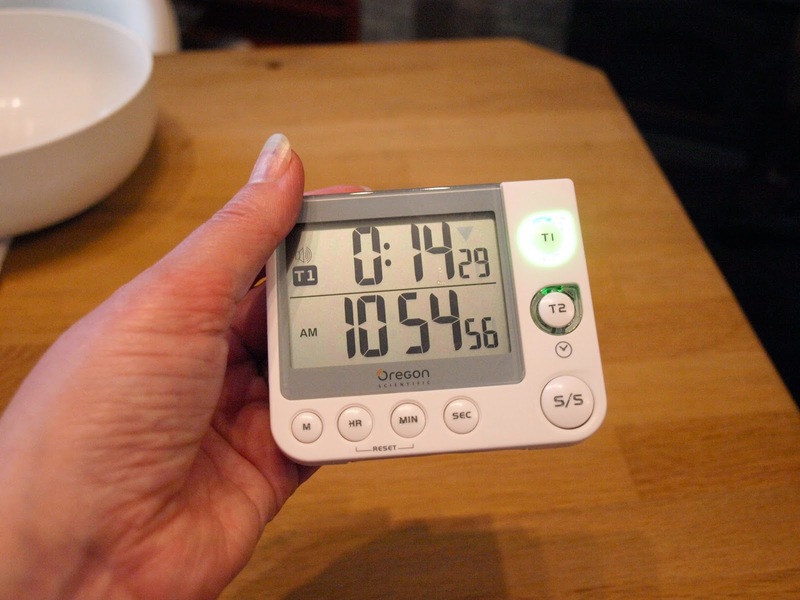 This is a really useful little kitchen timer which has two channels, you can have your timer on one and the clock on the other OR you can have two different times set up which is brilliant if you are cooking or baking different things at the same time. I found the timer easy to set up and use and it is now my constant kitchen companion. 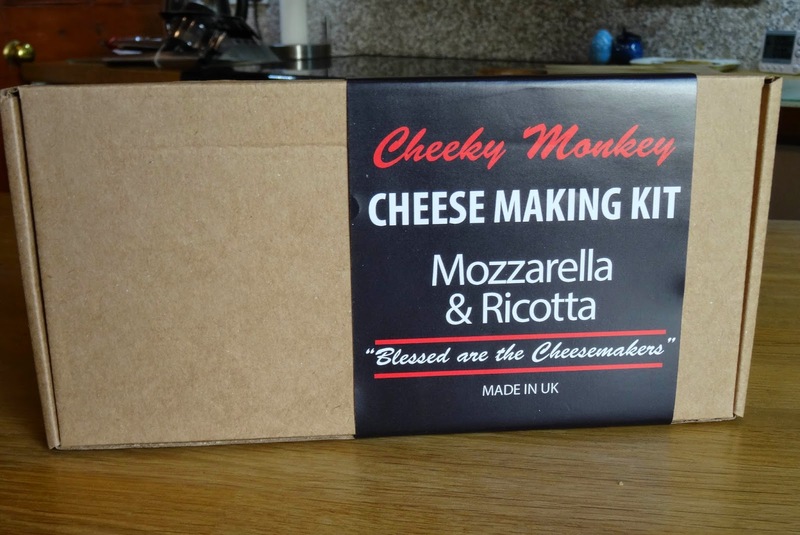 This slim box contains everything that you need to make 2 kilos of cheese from 20 litres of milk (milk not included) I haven't had a chance to make it yet, but the instructions look simple and it looks like a lot of fun. There is also a goat's cheese version if you prefer, or get both. 1. Anyone who likes a challenge in the kitchen. More fun gifts on the Cream Chargers website: Molecular Gastromony and Popping Candy to name a couple. 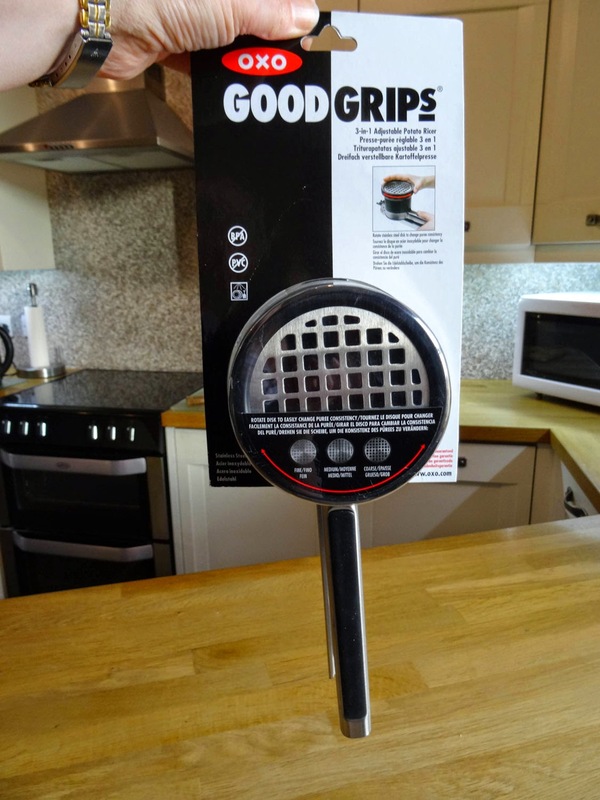 This inauspicious looking gadget from those clever people at OXO Good Grips, is really worth buying. I've fiddled about with sieves and tea strainers to dust my baking with icing sugar or cocoa and it's always messy. 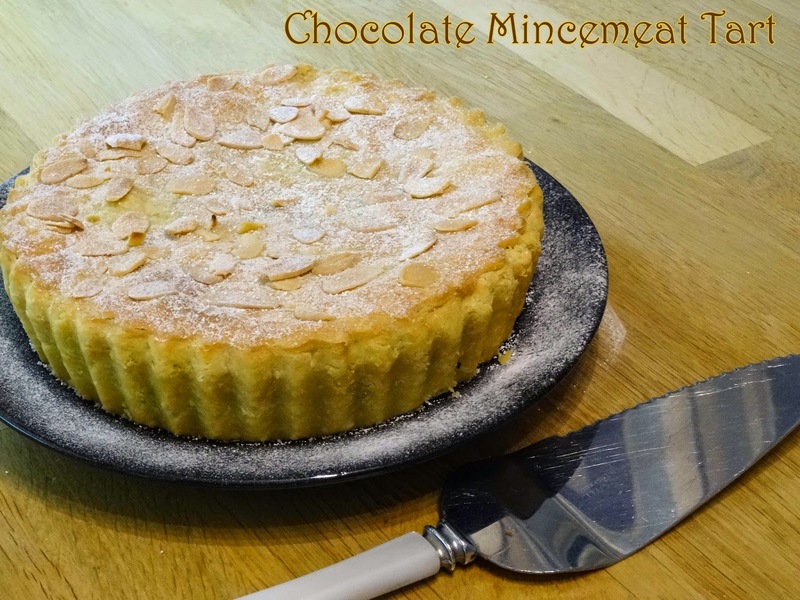 The Baker's Dusting Wand does away with the mess, because one side is perforated and the other is not, so once you put in your sugar, you twist the handle to close the ball and then simply shake over your mince pies or desserts or drinks. 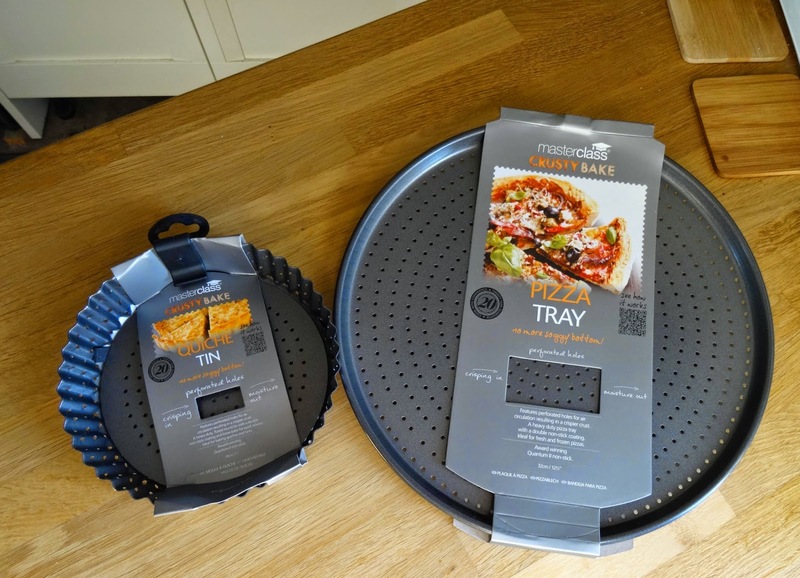 You can also use it to flour baking tins or your work surface when rolling pastry. Here is it in action, apologies for the shaky camera action, dusting with one hand, filming with the other! 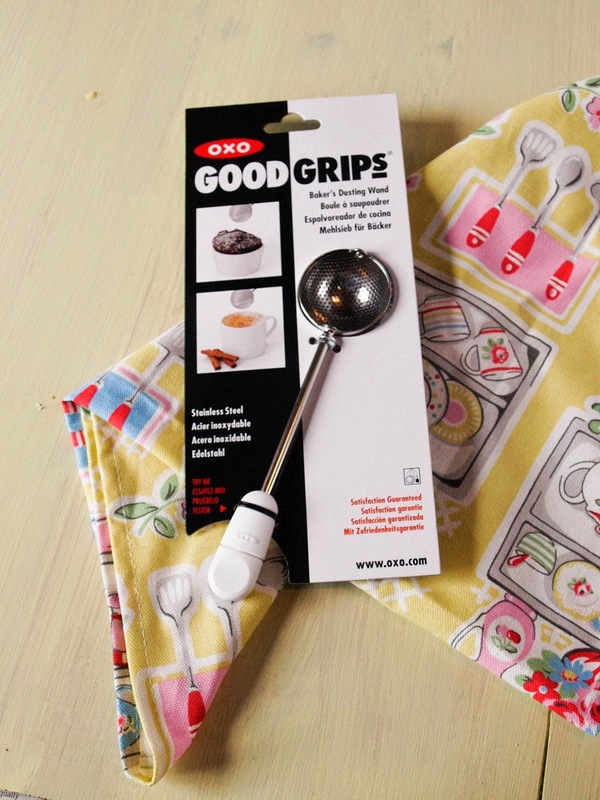 Another great gadget from OXO Good Grips, this is the 3 in 1 Adjustable Potato Ricer, perfect for making gnocchi but don’t have to limit yourself to just potatoes with the OXO Good Grips Adjustable Potato Ricer. This patented Ricer has three settings, easily changed with the twist of the dial, for many cooking tasks. While the fine setting is perfect for fluffy mashed potatoes, it’s also great for parsnips, carrots, turnips, gnocchi and more. 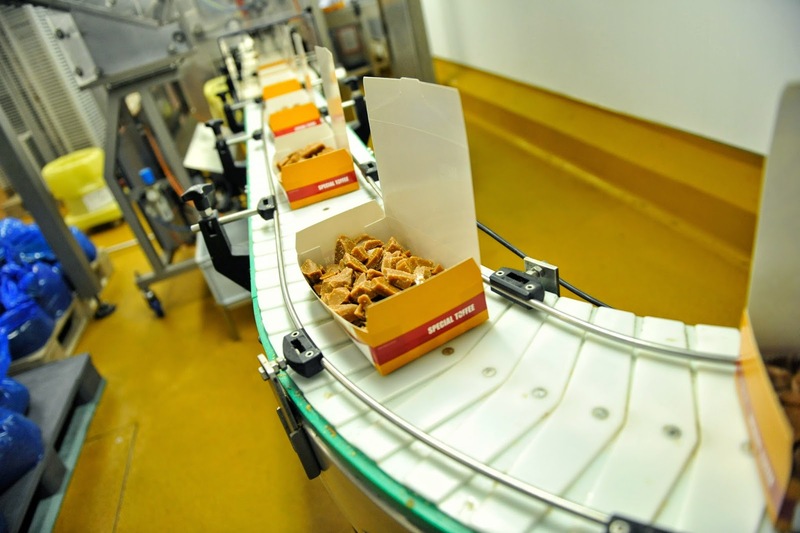 The medium setting is ideal for spaetzle, and pressing water out of cooked greens and the coarse setting is perfect for chunky apple sauce, egg salad and pressing tomatoes for sauce. Since the disks are attached, there is no need to go searching for extra parts when you want to adjust settings. The brushed stainless steel Ricer comes apart for easy cleaning and has soft, comfortable non-slip grips. I'll be showing you more of how I am going to use the Potato Ricer in future posts. 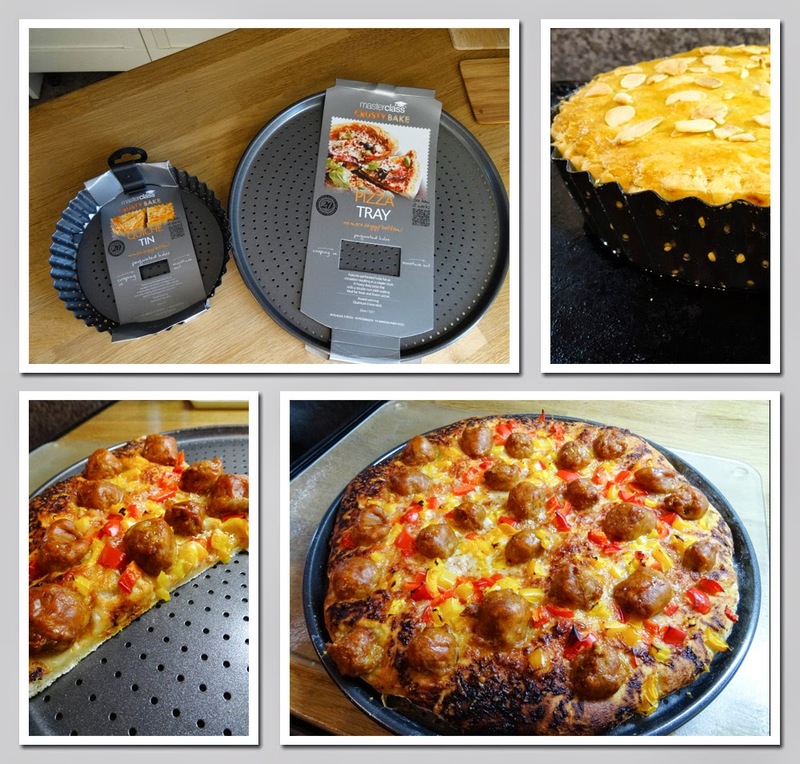 I hope that's given you a few ideas for what to buy for your friends and family who like to cook and bake. 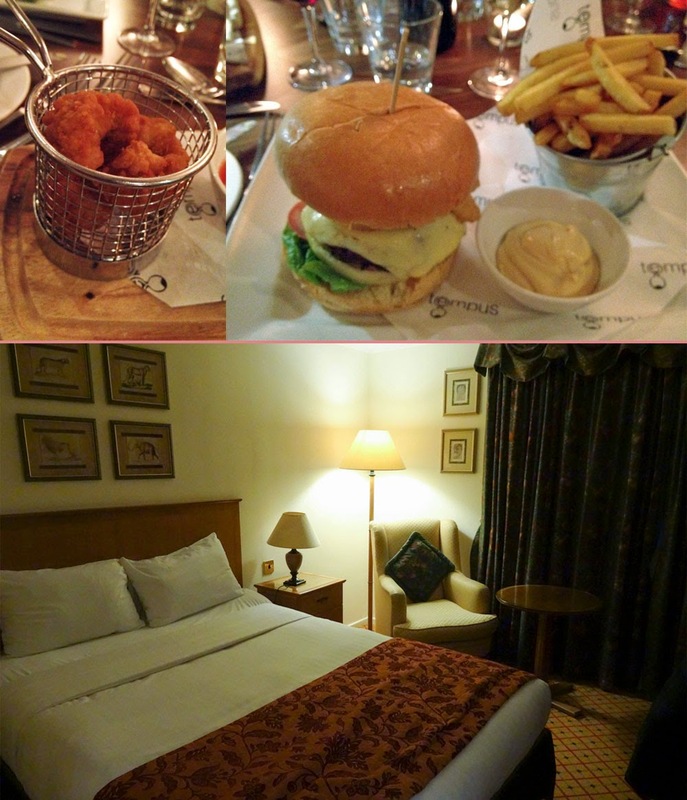 Many thanks to all the suppliers who provided me with these products to review.